Only one man can rescue Chelsea. Only one manager can unite the squad and then refresh it. That man is Jose Mourinho. Chelsea's owner, Roman Abramovich, has been through so many managers that it is surely only a matter of time before he starts round again. He has to return to Mourinho. 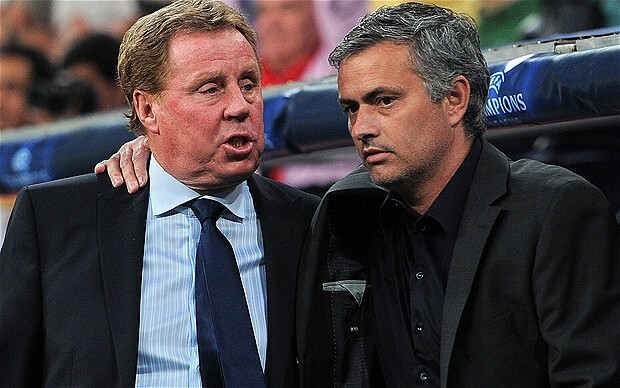 In the wake of Andre Villas-Boas' departure, fevered talk bubbles forth about possible successors. Pep Guardiola is mentioned, although why on earth would he leave Lionel Messi to work with Raul Meireles? Why turn your back on one of the greatest teams in history, on lengthy Champions League adventures? Rafa Benitez's political strengths might be useful in such a political lair as the court of Abramovich, but man-management? How would Chelsea's dressing-room respond to Benitez? David Moyes, celebrating a decade at Everton, would be good but would he be fashionable enough for Abramovich? From Jose Mourinho's assistant to becoming head coach at Porto and then manager of Chelsea, we look at how Andre Villas-Boas wound up being sacked at Stamford Bridge. Too many questions. More answers can be supplied by somebody known well in SW6. For those whose lives revolve around events on the Kings Road, all roads lead to the old king, to Mourinho, the Special One. All the signs, and not solely estate agent signs, point to Mourinho leaving Real Madrid this summer. He has talked frequently of a desire to return to the Premier League one day. He has made respectful comments about Chelsea Football Club since leaving. He has stayed in contact with certain players. An old flame burns bright. The issue for Mourinho would always be his unrequited love for Manchester United. If Sir Alex Ferguson stays two to three more years at Old Trafford, as the great Scot has indicated he will, then Mourinho has to wait. That would be the first question for Abramovich to ask Mourinho if the Russian did consider re-employing him. And he must do. Abramovich must also acknowledge his own culpability in the damage to Chelsea’s credibility. He should not have let relations deteriorate with Mourinho, he should not have sacked Ray Wilkins and he certainly should not have dispensed with the services of Carlo Ancelotti scarcely a year after the Italian brought him the Double. Abramovich is to managers what King Herod was to a successful youth policy. Abramovich would be fortunate to recruit a manager of Mourinho's calibre. He has won trophies in Portugal, England, Italy and Spain, with La Liga a growing possibility. He would inspire Chelsea, making them stronger mentally and also drilling them better defensively. Chelsea's vulnerability at corners against West Brom on Saturday was alarming to behold. Yet Mourinho would still have to rejuvenate the squad. At some point he would have to inform Frank Lampard that his days were numbered, that Chelsea were bringing in a younger midfield model. That could be Mourinho's greatest ever challenge, particularly in an age of Financial Fair Play and with Manchester City casting such a shadow. Yet Mourinho possesses the intelligence to manage change more adroitly than the ingénue Villas-Boas. He would also be trusted with a considerable transfer kitty by Abramovich. Some sympathy must exist for Villas-Boas. He walked into a dressing-room riddled with egos, agendas and leaks. He arrived at a time when the squad needed rebuilding, when the youngsters were not good enough and when the purse-strings seemed tightened. Villas-Boas was the right manager at the wrong time. He has gone but the problem remains: rebuilding the squad. The initial goodwill towards Villas-Boas, rooted in his engaging openness and feats with Porto, evaporated when his remarkable and highly-expensive naivety began to shine through over his dealing with the club’s experienced players. Lampard, Ashley Cole and Didier Drogba have strong voices within Chelsea’s corridors of power because of what they have achieved for the club in the past: trophies. They are committed servants of Chelsea, enjoying a bond with the supporters, a reality that Villas-Boas alluded to in his chaotic final press conference at Cobham on Friday when he talked wistfully of what it would be like to possess the CV of a "legend" like Lampard. Good point. But treat Lampard properly. Leaving him on the bench in Naples bordered on the insulting to a midfielder who has delivered for Chelsea in such pressurised situations before. Villas-Boas should either have forced out all those old heads at the start of the season or kept them onside as he gradually introduced new blood. He went for neither revolution or evolution. He went nowhere. Until Sunday, when he was taken to one side after training at Cobham and shown the way out. 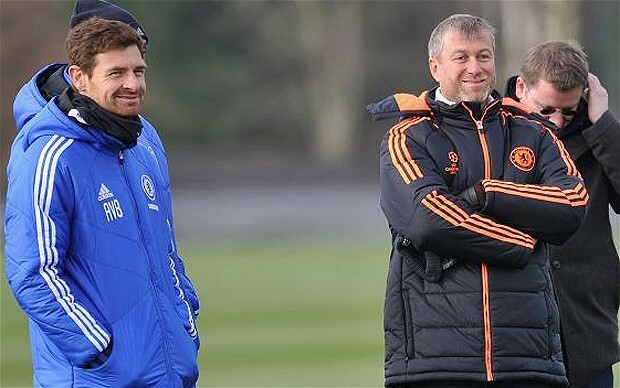 Villas-Boas will come again. A good manager exists within. His time at Porto proved that. As he goes off to spend more time with his family and motorbikes, Villas-Boas must reflect on the need to acquire a tweak of humility and a greater understanding of the dressing-room dynamic. He should go and spend a few months on the touchlines of training-grounds, picking the wise brains of the Fergusons of this world. He will return a more mature, more rounded manager. 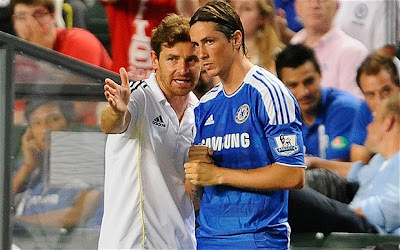 Being older than players he has to drop will also make Villas-Boas' working life easier. And one day he will face Mourinho.